High Intensity Discharge, or HID lamps, are a type of light fixture that offer several advantages compared to the traditional incandescent, or fluorescent lamps. There are many light fixtures that are considered as HID, depending on the construction and the materials that are used for the bulb, and Xenon is just one of them. Xenon bulbs are aptly named, as they contain the noble gas, Xenon, inside the bulb. This gas lights up when high voltage is applied. HID lights are more efficient in producing light compared to traditional fluorescent or incandescent bulbs, meaning that they produce a brighter light at a given power rating. They are also more consistent when it comes to temperature fluctuations, making them better suited for outdoor applications. Xenon lamps are considered to be a special type of HID due to a few factors. 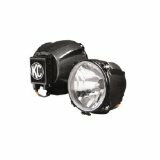 Unlike most HID lamps that do not reach full brightness until they are hot enough, Xenon lamps do not need to warm-up, and provide instant bright light. Xenon lamps simulate daylight better, and the light is more natural compared to other HID lamps. Although there are advantages to Xenon lamps, there are also disadvantages. The first is the need for extremely high voltages in order to start and operate a Xenon bulb. Voltages across the terminals can be as high as 30 thousand volts to start the arc across the electrodes of the bulb. Other HID bulbs do require higher voltages compared to other traditional light bulbs, but it is not as high as that of Xenon lamps. Xenon lamps are also among the top bulbs when it comes to pressure inside the bulb. With pressures that exceed 100 atmospheres at times, these bulbs can be an explosion hazard, and can cause damage when its enclosure fails. 1. HID is a type of light fixture that creates brighter light, and lasts longer, while Xenon is a subtype of HID that contains Xenon gas instead of the other alternatives. 2. Xenon lamps do not need to warm-up like other HID lights. 3. Xenon lamps create a warmer light that simulates daylight better than other HID lamps. 4. Xenon lamps have the disadvantage of requiring a much higher voltage to start, compared to other HID lamps. 5. Xenon lamps have high pressures within the bulb, while other HID types have lower pressures. Ben Joan. "Difference Between Xenon and HID." DifferenceBetween.net. April 2, 2019 < http://www.differencebetween.net/object/difference-between-xenon-and-hid/ >.